When they think of an estate plan, many people only think of end-of-life matters. Most people know they should have a will and even a living will (also known as an "advanced directive"). Those documents, however, only deal with events related do an individual's death. Everyone should also have a Power of Attorney to provide protection while he or she is still alive. A Durable Power of Attorney allows an individual to appoint another individual -- his "attorney-in-fact" -- to tend to his daily affairs if he becomes incapacitated and unable to handle those matters on his own. This can be useful after an individual suffers a stroke that makes him mentally unable to handle his affairs or becomes physically incapable of doing necessary business. The Durable Power of Attorney will confer on the attorney-in-fact the power to handle the individual's banking needs, such as writing checks to pay bills, business matters, investments, post office box, and property. The attorney-in-fact is supposed to act in the best interests of the individual conferring the power in all matters. A Healthcare Power of Attorney is the opposite of a Living Will. Instead of stating the individual's preferences for life support or death, the Healthcare Power of Attorney designates an individual to make non-end-of-life medical decisions on the individual's behalf. If the individual cannot make a medical decision, either because of a permanent incapacity (such as after a serious stroke) or a short-term incapacity (such as while under anesthesia during surgery), the designated attorney-in-fact makes the required decisions on the individual's behalf. These documents allow an individual to appoint someone to carry out her wishes on her behalf. These documents are very powerful and should be prepared with care. 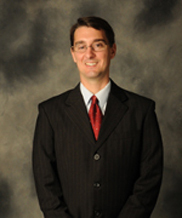 Attorney Wes Sullenger has the experience to prepare a Power of Attorney that will meet your needs. We can also advise you regarding the dangers of such powerful documents and the factors you should consider in selecting your attorney-in-fact and the specific powers you will confer. Call us at (270) 443-9401 to schedule a consultation so we can review your situation and discuss how we can help you.